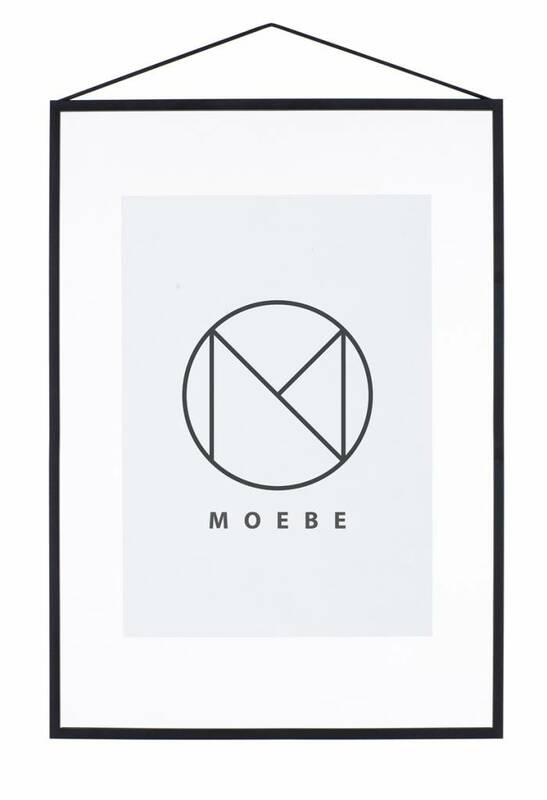 Frame is the simple name for the already iconic transparent frames by the Danish brand Moebe. 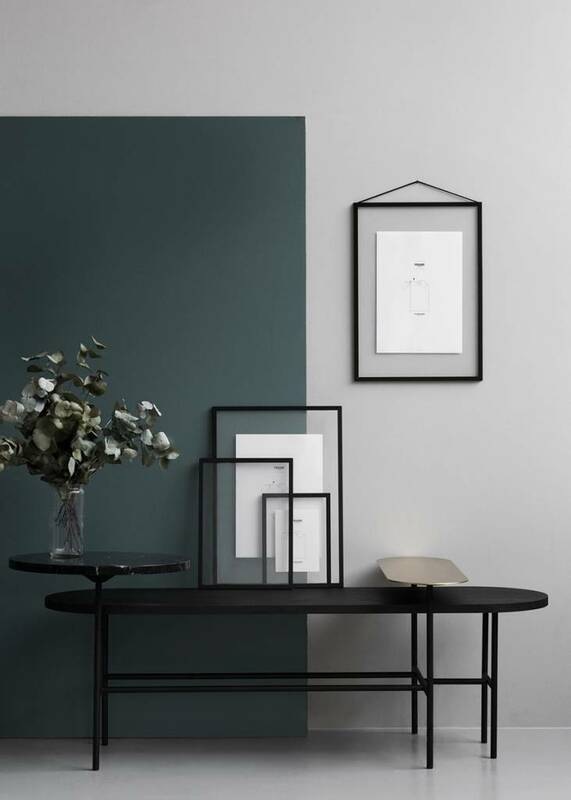 Frame A2 in black lacquered aluminum is a whole new way of framing, with an open and light effect. 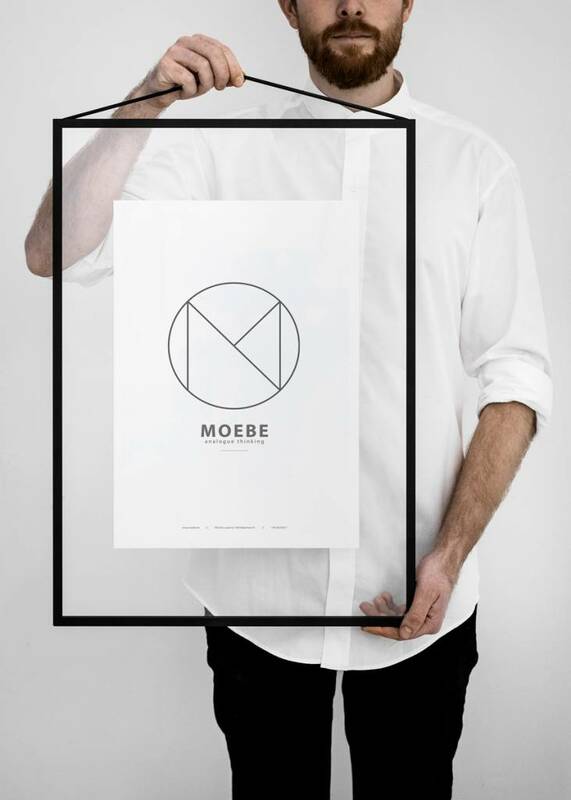 Frame from Moebe is unique and although the design has only been on the market for a few years, it has already become an iconic Danish design. 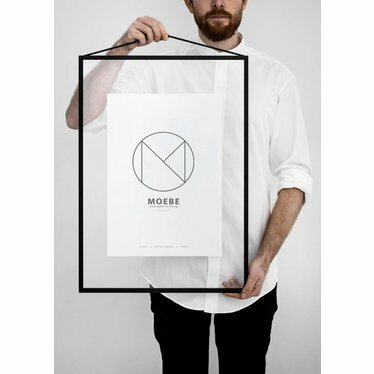 This is a very different way of framing than you are used to and it gives your posters and art works a truly special effect. 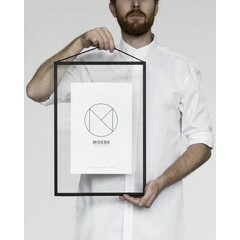 Frame consists of two sheets of clear acrylic glass that are held firmly together by the frame and a round rubber band. 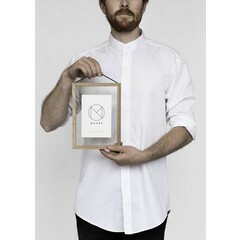 In a Frame you can not only view the framed from two sides, but you can give every thin and flat object a transparent frame. Ideas are (dried) flowers and leaves, but also a card or poster gets a very different expression in a transparent frame. 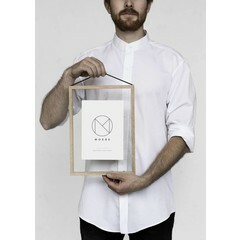 Frame is available in black and white aluminum and natural oak. Maintenance advice: avoid the use of aggressive cleaning agents on the acrylic glass, otherwise it may become dull. A soft damp cloth is sufficient.